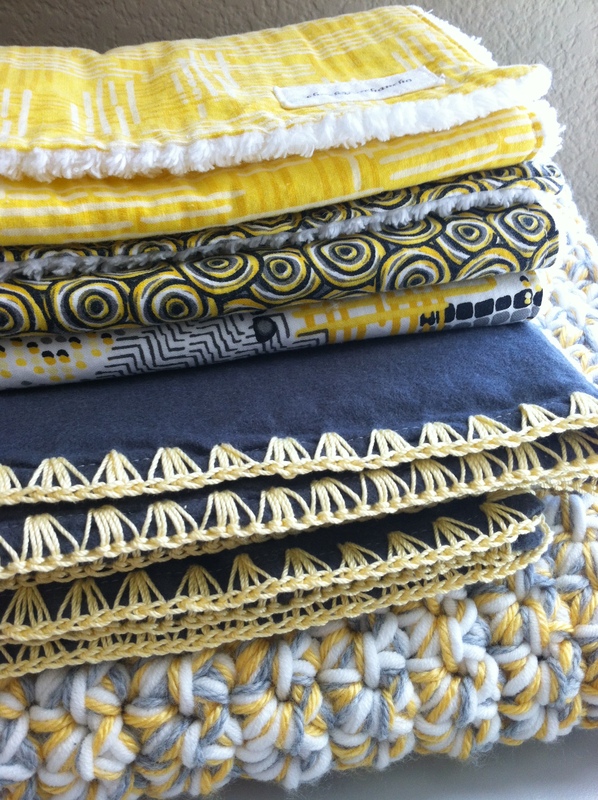 Finally sent off the gray and yellow baby gift set I put together over the summer. Love this color combination for a baby. Although it can be gender neutral, this set is special for a little girl we are all waiting for. It includes burp cloths, a flannel receiving blanket with a crochet edge, and a super soft cozy blanket. I hope she enjoys it!